We don't want to live there do we? Well, have you ever grumbled that your friends keep letting you down? Why are they never there for me when I need them? Have you ever thought “I need to get some new friends”?! 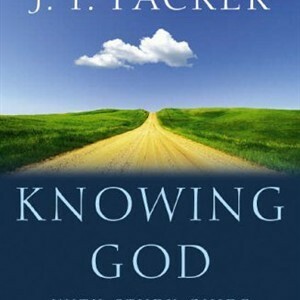 If so, you'll find this book immensely helpful and profoundly challenging. You will be taken through six chapters that will help to colour our Christian friendships. It begins with the necessity of committed friends for a growing Christian life, and concludes by pointing us to Christ as our greatest friend and perfect example, who is guaranteed to forgive our many let downs. In between these two chapters come qualities essential to friendship, namely: closeness, constancy, candidness and carefulness. This is a searching book, because it doesn't simply expose where our friends may be weak, but lays out in front of us that failing friendships start with us. If we long for godly, wise and caring friends then the answer is to start modelling this ourselves. What's it about? A refreshing look at the wisdom Proverbs gives us on all things friendship. Who is it for? Anyone who has friends and takes serious that “Whoever walks with the wise becomes wise, but the companion of fools will suffer harm.” This will help our Tron Church family so don’t just buy one for yourself, buy some for your friends (the more you buy the cheaper they are, see pricing below) so they can hold you to this standard of friendship. How long does it take to read? Not long, you could read this in a sitting of 2/3 hours! Warning! It may take much longer to let it sink in and affect you. True Friendship by Vaughan Roberts is available from 10ofthose for £4.99, but buying 5 costs only £3.99 each, and buying 10 brings the price down even further to £3.49 each.